Self-adhesive magnetic tape in various thicknesses and widths. Magnetic tape is ideal to equip items magnetic.So eg a flyscreens can be mounted on your window frames, you can equip planning items, games and teaching aids magnetically or prepare individual memo magnets easily. Even as a storage identification magnetic tape is often used. The magnetic tape can be cut easily with scissors to the desired length. 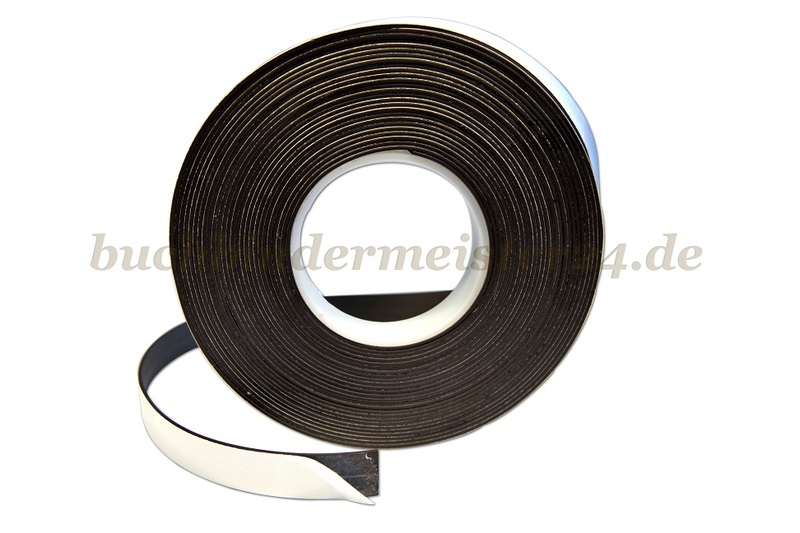 Our magnetic tape can also be used as a closure. This means that if you rotate a magnetic tape strip by 180 ° and place it on another strip these hold together. You now have a closure that is for example often used in model building. Also doors of furniture are kept closed with magnetic tape.